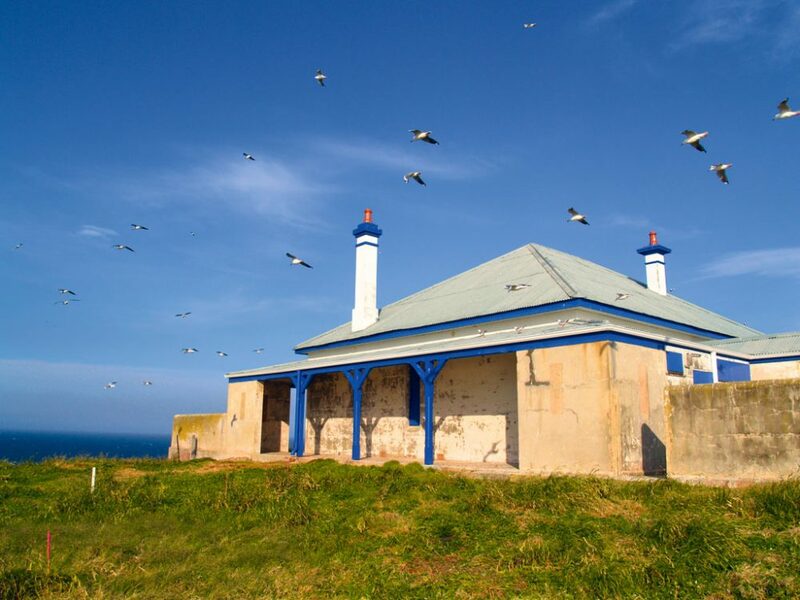 Reader Phil Murray was so intrigued by a photo of South Solitary Island in AT’s “Where on Earth” competition, that he decided to check it out for himself South Solitary Island… is that an oxymoron? Well, there is a North Solitary Island, so they are hardly solitary. In fact, there is also a North-West Solitary Island and, naturally, its corresponding South-West Solitary Island. There is even a “Split” Solitary Island (is that two more?) and South Solitary Island itself comprises four distinct small islands. At first glance, the sea off Coffs Harbour on the NSW North Coast seems positively crowded with “solitary” islands – so why the name? The Solitary Islands Marine Park stretches over 60 kilometres from Coffs Harbour in the south to Sandon in the north – containing a group of nine barren, rocky islands. In May of 1770, having discovered Botany Bay and turned north along the east coast of Australia, Lieutenant James Cook found himself at latitude 300 south – forced to stand off about three leagues from land due to adverse weather. As he gazed shorewards through driving rain and sea mist, towards the place where Coffs Harbour stands today, Cook noted in his log: “We had some small rock islands between us and the mainland.” It was a bleak, overcast day and so he named these “Solitary Isles” on his chart. How apt and prophetic Cook’s naming of the islands would prove to be. Two hundred and forty-one years later, my wife and I were part of a group of 64 people privileged enough to visit South Solitary Island and tour its iconic lighthouse and buildings. Open to visitors only two weekends a year, a ten-minute helicopter flight delivered our party of four to the island, 14 kilometres off the coast and home to the most inaccessible lighthouse in Australia. We were greeted by not only a National Parks and Wildlife Discovery Ranger tour guide but two former inhabitants of the island. Barbara Atchison was the young wife of the lighthouse keeper back in 1975. With a new baby suffering from colic, and being the only woman on the island, Barbara recalled her time with mixed emotions. For the wives and children of the lighthouse staff, the islands could at times be truly solitary. Barbara once spent five months on the 23-acre rocky outcrop without visiting the mainland. “I still keep at least six bottles of tomato sauce in my cupboard,” she laughs. Wild storms, huge seas and night-time shifts manning the light were the norm. 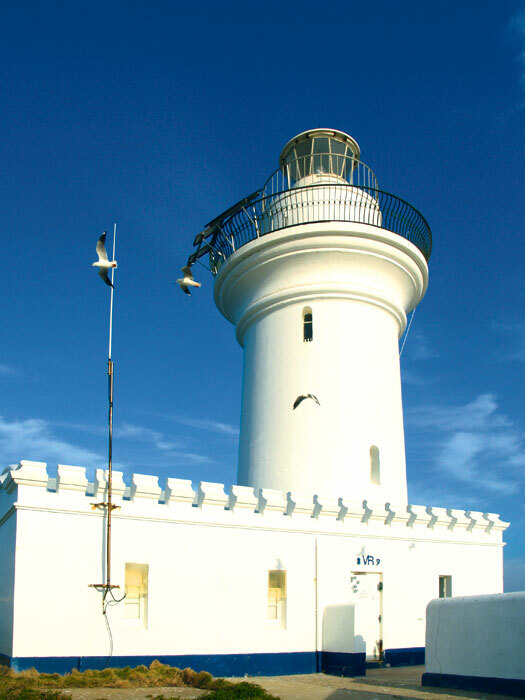 Except for a handful of nights during 1942 when Japanese submarines were in the area, the South Solitary Island lighthouse was manned every night from March 15, 1880, to 1975 – an extraordinary achievement spanning 95 years. 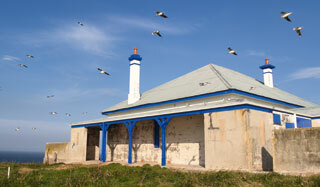 Another former Solitary resident was Jim Smith, son of the lighthouse keeper posted here in the 1950s. Eleven-year-old Jim was fortunate to have a playmate, the son of an assistant lighthouse keeper. Jim told of their boys’ adventures, a cave located on the far side of the island and how the pair explored the island, fished and cooked their catch. “We did school by correspondence. By Wednesday all the schoolwork was done and we’d disappear – exploring and fishing,” Jim recalls. My visit to the island was a fabulous experience; enriched, personalised and brought to life by those who lived there. It was over all too soon. As I prepared to board the helicopter for our return flight, I asked Barbara if she’d had an inkling as a new mum she’d be loading and unloading a helicopter full of tourists 35 years later. Barbara shook her head: “Never in a million years!” For just two weekends a year, the Solitary Isles are anything but – be sure to add them to your bucket list. 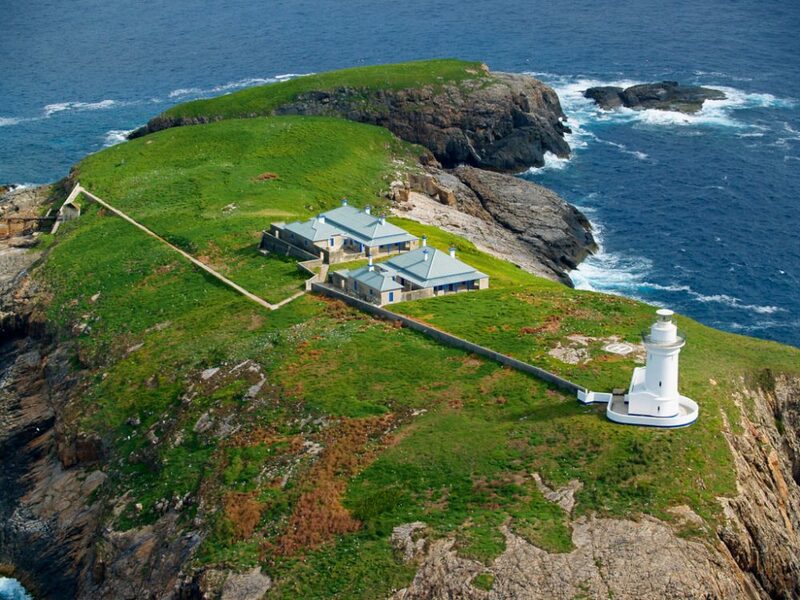 For more information on how to visit South Solitary Island in 2012, contact Precision Helicopters.